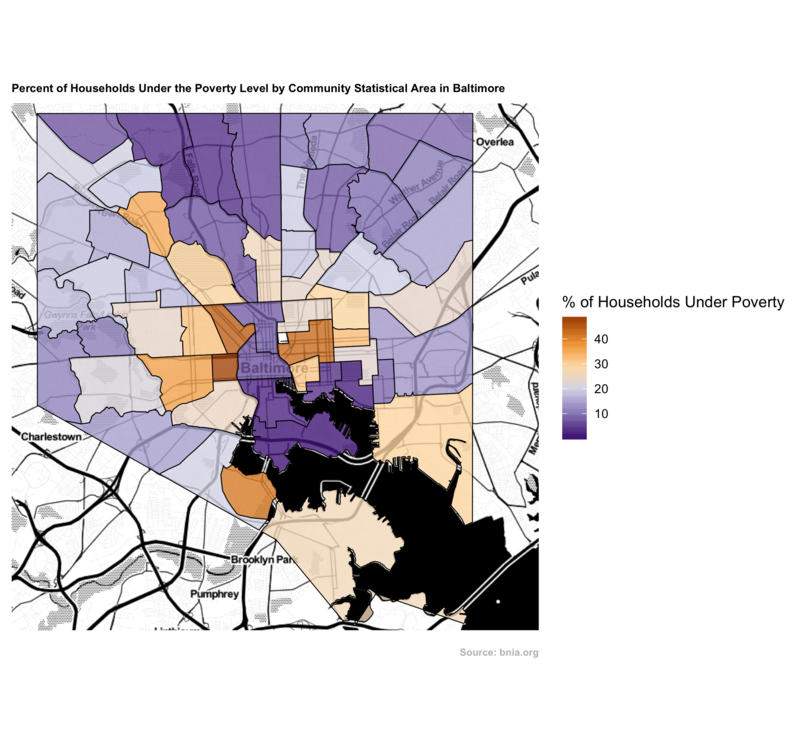 A project for Public Health professionals to help understand the inequalities in poverty and homicide in Baltimore in 2016 using Open Source data. There is evidence that poverty and violence go hand-in-hand for a number of reasons. Those who are poor may come into friction with those who are not. Or the lack of wealth is systemic, learing to a poor public safety infrasctructure. Or those who are poor do things deemed criminal by society in order to survive. That is all for this project. Please feel free to use the code for your own needs, but do cite your data sources and give me a shout-out to let me know how you’re using it. Also, if you have any questions, please contact me via Twitter @EpiRen or Facebook. 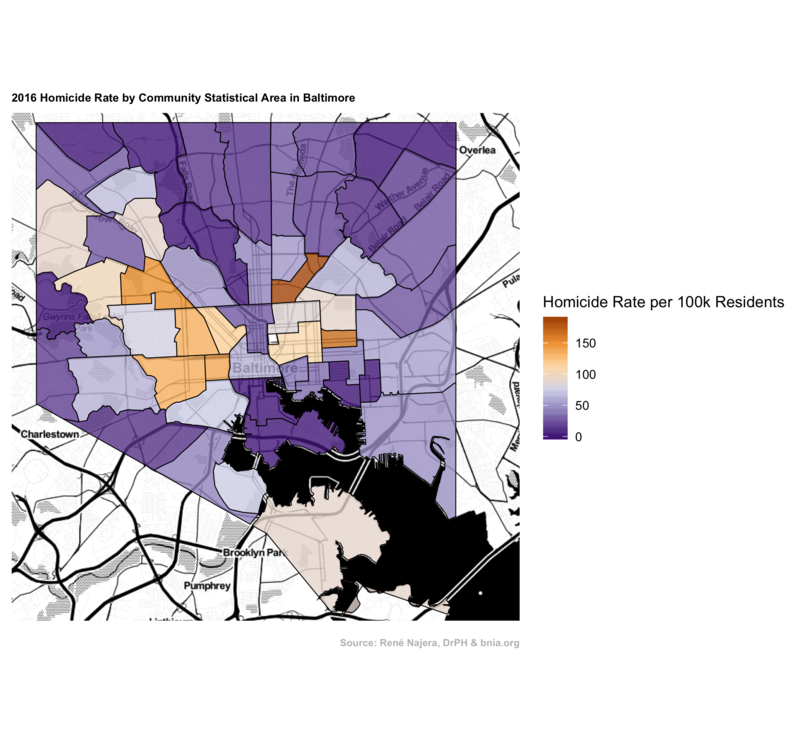 baltimore-homicide-inequity is maintained by RFNajera.